Mickey Mouse is one of the main characters of the Kingdom Hearts series, the king of Disney Castle, and a Keyblade Master. Mickey is a born leader, staying calm in the face of danger and always unafraid to protect anyone who needs help. He is also a fierce and loyal friend. 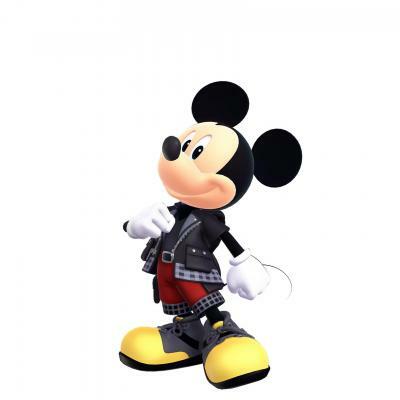 Mickey is one of the few characters to have appeared in every game of the Kingdom Hearts series.